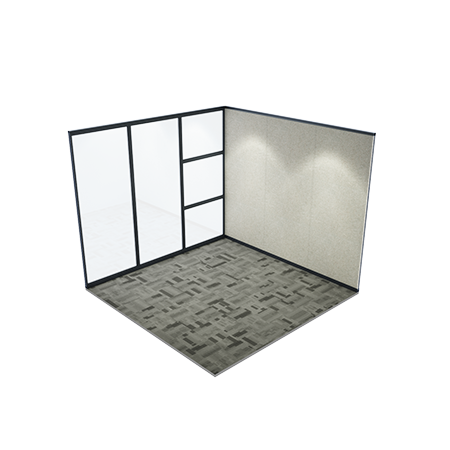 The Corporate Series is a unitized wall system that offers complete modularity, ensuring cost-effective movement for the lifespan of the product. As a result of being 100% factory fabricated, this system is shipped to the job-site ready for installation, reducing costly downtime and job-site mess. 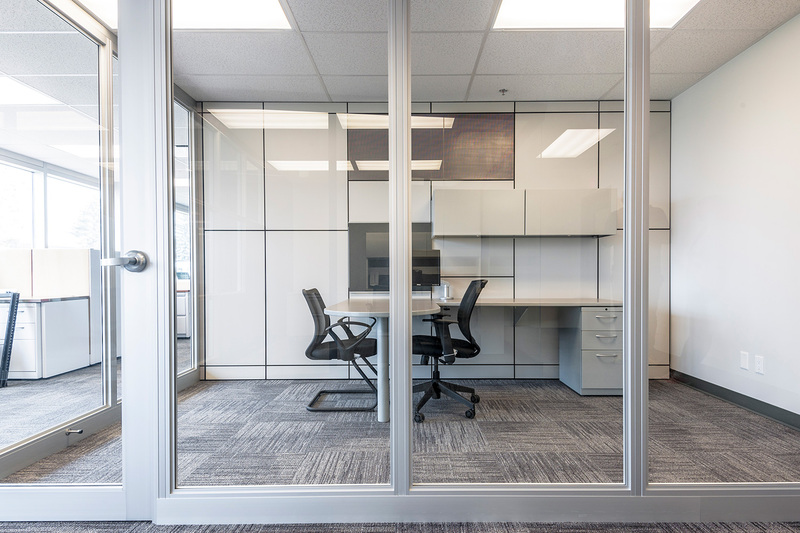 With quick and clean installation, the Corporate Series has a full height, private look with the opportunity to be re-configured to suit your changing needs. 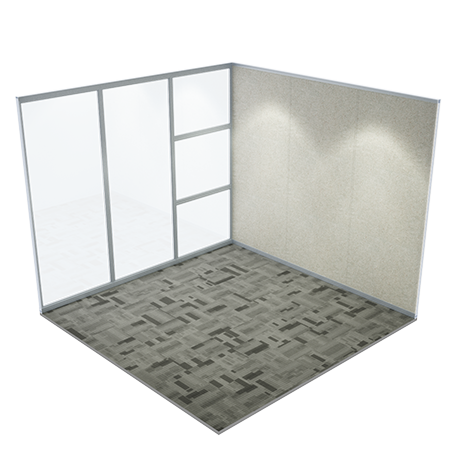 Corporate Series Wall systems are available in panel widths of 6” to 60” resulting in maximum flexibility in space planning and modularity for reuse. 2” vertical tolerance for floor variance and site condition adjustment. 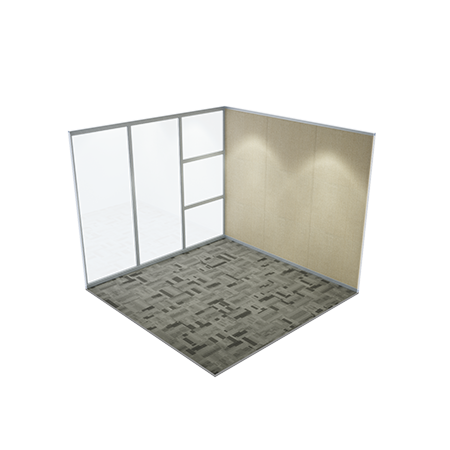 Unitized modular Panels which are easily interchangeable and allow for expansion and changes. 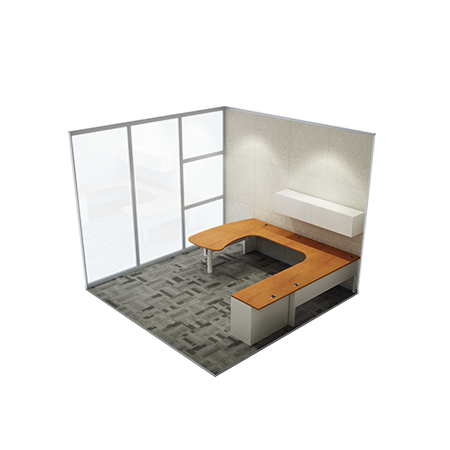 Furniture Systems can be attached using vertical slotted standards. 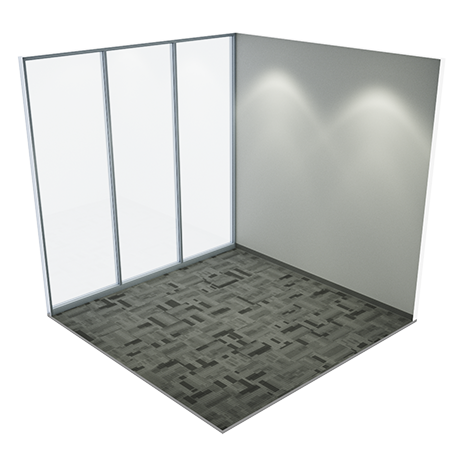 Numerous Panel finishes are available including Vinyl, Fabric, Laminate, Tackable panels, Whiteboards (Back Painted glass). 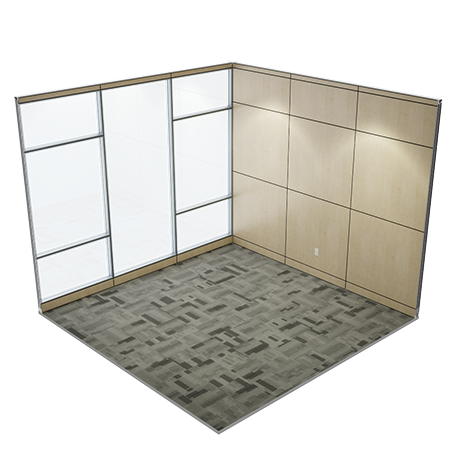 The Corporate Series is compatible with a variety of door types including hinged, pivot, sliding barn doors, available in wood or aluminum. Any brand and style of hardware are accommodated. 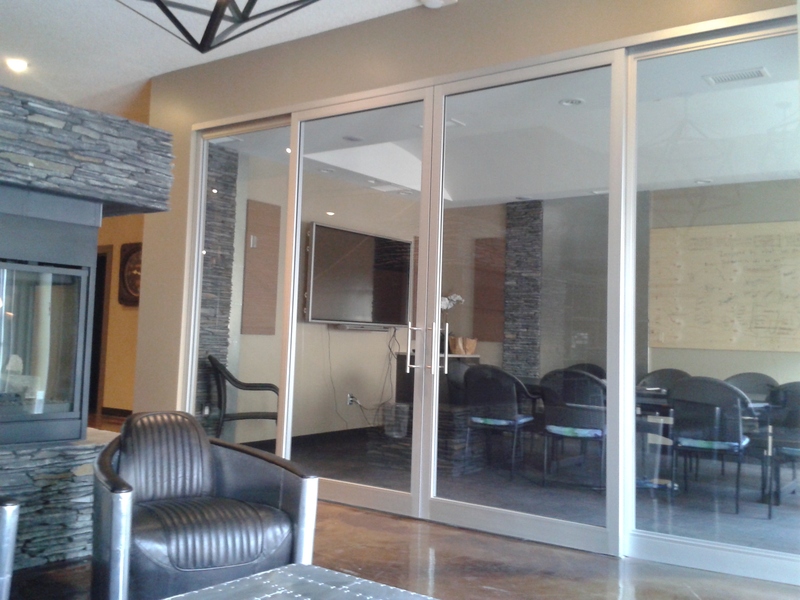 100% factory fabricated panels result in shorter install times and fewer trades. Electrical / cabling can be built into panels to suit client’s application. CSA approved resulting in less labor and increased savings. 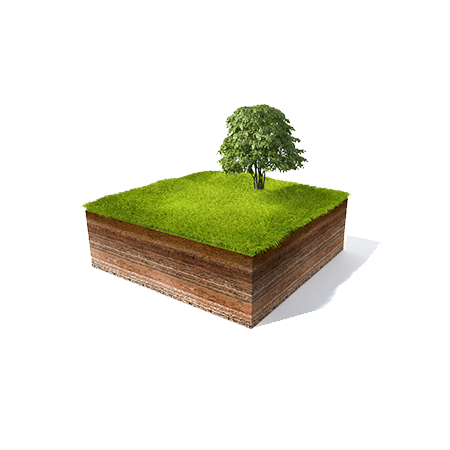 The biggest advantages of the Corporate series is the decrease in construction and reconfiguration waste and eliminating drywall application - dust and paint fumes results in improved air quality [IAQ]. 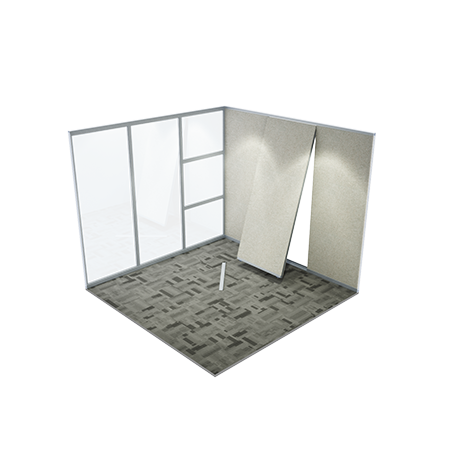 The Corporate Series contributes to LEED credits, through recycled content, and regional materials. All solid wall sections can come pre-wired for all your electrical and data needs. CSA certified. "We require 3 - 5 week lead time for any products that need to be run." Is this wall system movable? 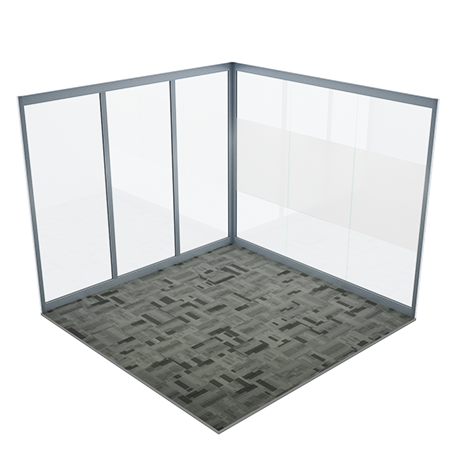 Are the Corporate Series Glass Walls Factory made? 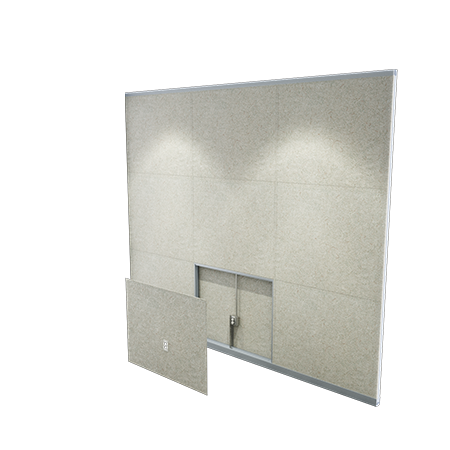 Can the Corporate Series Walls be used with other walls you offer? Yes, we recommend in many situations to BLEND our products together. This offers clients the maximum options available and creates sensible use of budget without sacrificing performance or looks.